Lately the children in the Oak class (2–4 years old) have been excited about the Unifix cubes—little plastic cubes of various colors that can be connected in a stack or a line. 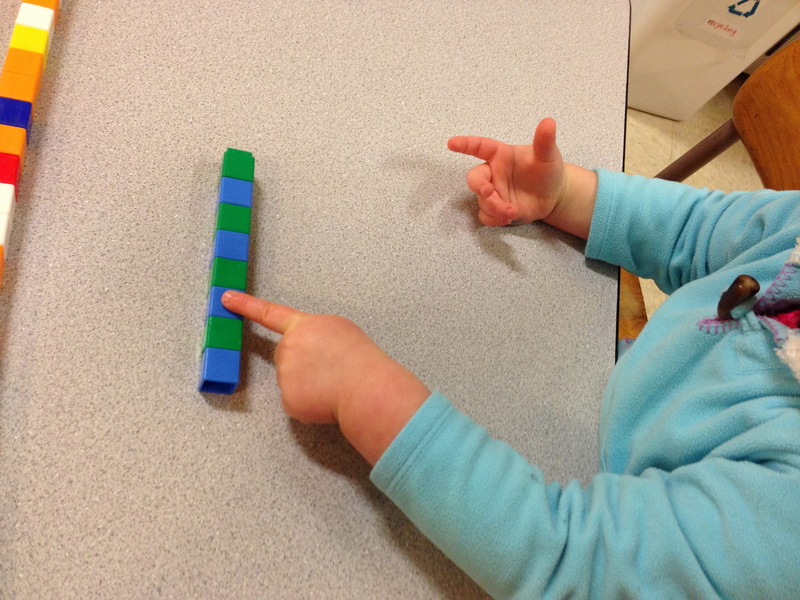 Older children often use these for learning about patterns and simple arithmetic. But last week in class they became an impromptu lesson on reading. “You did it!” I said. “You point this time! Start on this side.” She went again, using her own finger to slowly go from left to right. At the end she added more cubes, of random colors, and went again. And then added more cubes, and went again. 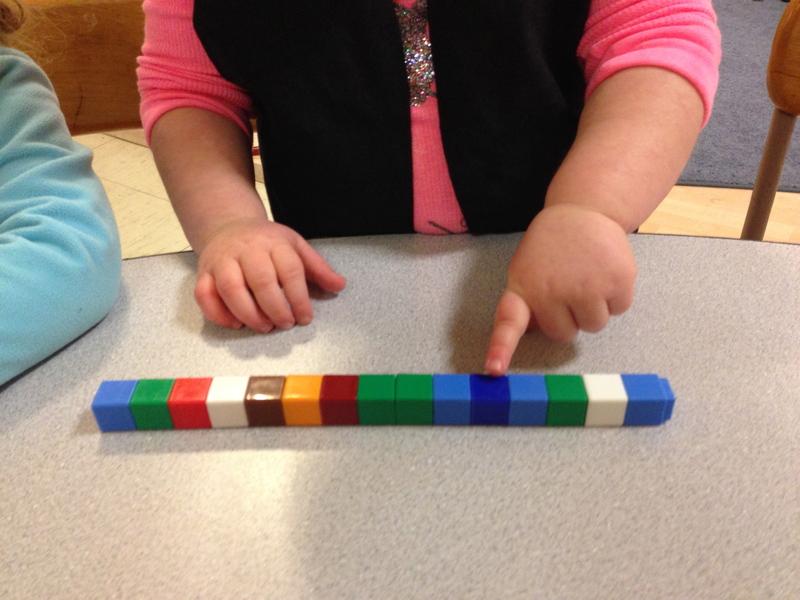 Across the table, another child said, “I want to try!” I showed her where to start, and she pointed down the line, naming each color. Plenty of mistakes along the way, but that wasn’t the point. The first child came and sat next to the second, watching carefully all the way through. A literacy lesson wasn’t what I’d planned—but it turns out that when you expose children to engaging, open-ended materials, opportunities present themselves literally all the time. That’s what this whole “learning through play” thing is all about. To switch from reading to writing, see last week’s anecdote.